“Bold and the Beautiful” spoilers for Thursday, January 26th, reveal an hour when one Forrester is furious and another is fazed. 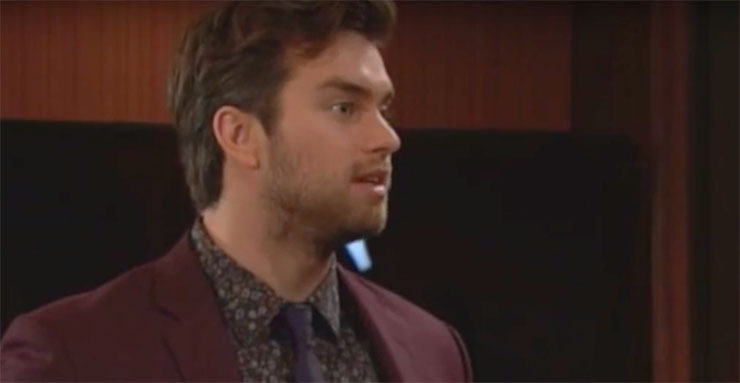 Thomas (Pierson Fode) is back, and this Forrester doesn’t like some things he’s come home to. One such development that displeases the Forreseter son is that Steffy (Jacqueline MacInnes Wood) was named CEO of Forrester Creations and he was overlooked. Thomas is a nice guy, but he also won’t be disregarded in this way. He makes it clear to his sister and current Forrester Creations CEO, Steff, that he is none-too-pleased about being left out in the company cold. Steffy has men fighting to be with her, and she had a pretty good gig at Forrester as it was. Thomas, meanwhile, doesn’t have the best personal life these days. He could have used a productive way to spend his time. Ridge (Thorsten Kaye) and Quinn (Rena Sofer) have been confusing lots of people lately, like their families and B&B viewers. Tomorrow even Ridge is befuddled when Lady Forrester presents him with a magnanimous proposal. They say you should never look a gift horse in the mouth. But they also say to beware Greeks bearing gifts. Then again, it’s debatable whether we can really still call Ridge and Quinn enemies. Things could be getting even trickier for these two. They could be headed for a ravine, and many people stand to get hurt as long as they continue to dance around their issues.